The Body Shop has lots of deal for Cyber Monday! 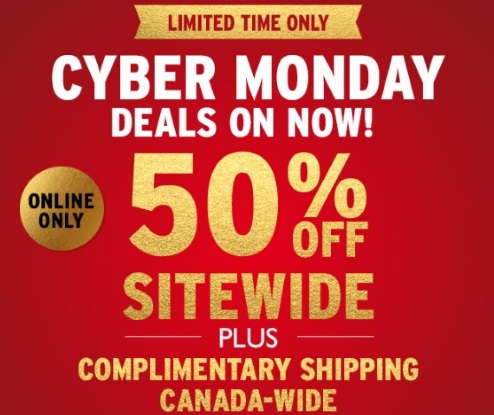 Get 50% off sitewide and Free complimentary shipping Canada-wide. Also get a Free Gift with any $75 purchase, choose your free full sized gift at checkout (up to $22 value). Love Your Body members get 2x the points from November 25-28, 2016. Get festive seasonal body butter trios for only $15 (with any purchase). Mix and Match to save 2 for $16 or 2 for $25. Also, their Advent calendars are back, get yours before they're gone! Offers are valid November 28-December 1, 2016.